I am still working away on my Alabama Chanin outfit. Most days, this is the project that I am drawn to. 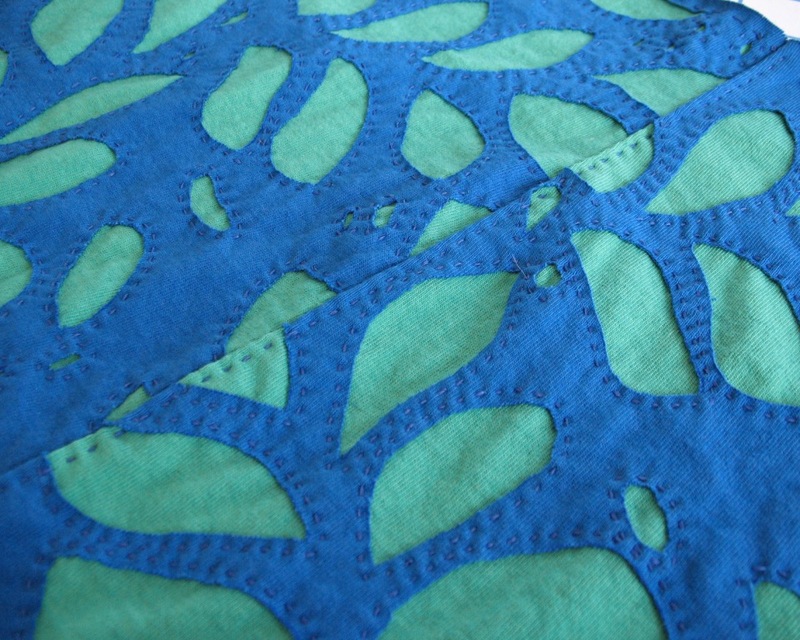 I find hand sewing to be very relaxing, and the cotton jersey seems to be extra kind to my fingertips. I have no needle wounds on the pads of my fingers, even with daily sewing. The skirt is finished, except for the waistband. I did find a fold-over elastic that is a decent match to the sapphire blue cotton . . . now I just have to decided if I want to replicate the waistband of my first attempt, or go for the elastic. I have also been contemplating Over-dressed: The Shockingly High Cost of Cheap Fashion. I confess, I had a hard time reading large chunks of this book at a single sitting. Normally, I devour books, but the subject matter was so disheartening to me, I could not manage to read more than one chapter at a time. I finished reading it weeks ago, but I have yet to return the book to the library. I feel very unsettled, and keep hoping to find some answer if I stare at the cover long enough. What is clear is that ethical clothing made by workers earning a living (not minimum) wage is expensive. Too expensive for anything except a niche market, catering to those who not only have the funds, but appreciate the effort and skill that goes into making them. Throwing a designer name into the mix will certainly sell garments, but just because a Dior or Chanel tag is stitched to the back of a skirt does not make it haute couture, or even high quality. So many consumers seem to be more interested in who they are wearing than what they are wearing these days. What’s in a name? I am much more interested in quality. Which probably explains why I enjoy making my own clothing. So I thought I would play a game with myself and try to figure out what this skirt I have made might actually cost in a shop . . . or rather, what it should cost. Alabama Chanin garments are sourced and made in the United States, are extremely labor intensive, the company compensates their artists with a living wage, and seemed like an interesting choice for this exercise. I am also knocking off their skirt, so it was a rather obvious place to start! My skirt requires approximately 3 yards of cotton, dye, a whole lot of heavy duty thread, a stencil, and many, many hours of labor. Alabama Chanin has fabric, a means of dying their fabric so it is certainly more cost effective than their $26/yard price tag, thread, stencils, and a method of spraying the design directly on cotton a lot more efficiently than me. 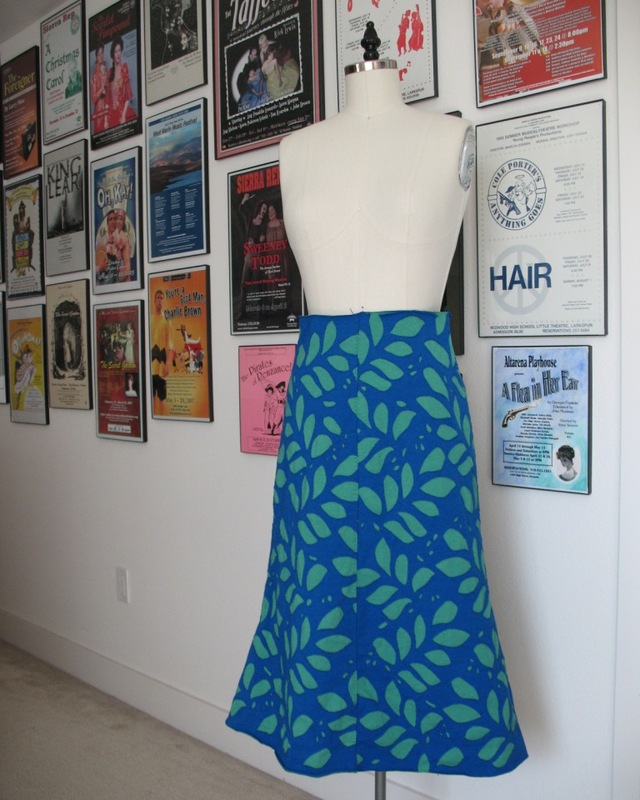 I am not finding an exact match to my 31” long reverse appliquéd skirt for sale, but similarly embellished pieces are available on their site from $2,500 - $3,000. That sounds like a lot of money for a cotton skirt, right?! 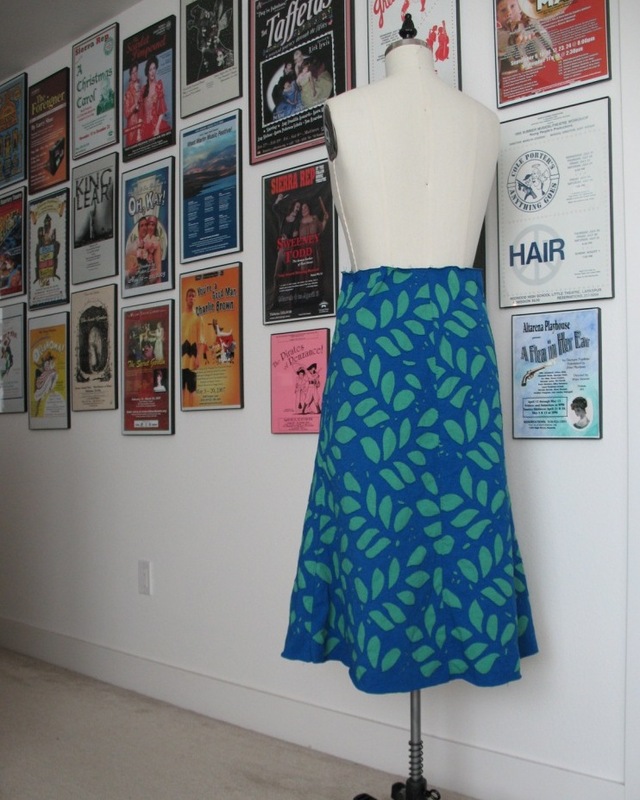 If we say that a mid-length skirt will require approximately three yards of fabric and four spools of thread, Alabama Chanin sells these items for around $80. That cost obviously factors in a profit, so I am going to guess the actual cost is around $20 or $30. I am going to ignore the cost of the stencil. So, if we are talking about a $2,000 garment, the supply cost seems rather negligible. Clearly, the main cost is the skilled labor (as it should be!). I started work on my skirt in early January. Dying the fabric took most of a day. Tracing my pattern pieces and cutting the fabric also took a chunk of time. Making and cutting my stencil also adds a few hours to the total. This process is obvious more streamlined for a company that is set up for it – I started from scratch, and am at the beginning of the learning curve. I was not keeping track of my sewing time, but for most of January I spent at least one hour a day with a needle in hand for this project. Some days I spent considerably more time, and some days I had other things that took precedence and did not pick up the project at all. I also made a few test swatches for myself to make sure I liked the result which added to my time. So let’s call it forty hours, just for laughs. In California (where I live), minimum wage is $9/hour. I am confident a “living wage” in Alabama is significantly higher than the mandated $7.25/hour minimum wage. If I more than double that number and pay myself $15/hour for my 40 hours, that means I would be paid $600 for the piece. Then, the $30 supply cost needs to be added. That brings the total up to $630 with no profit of any kind. 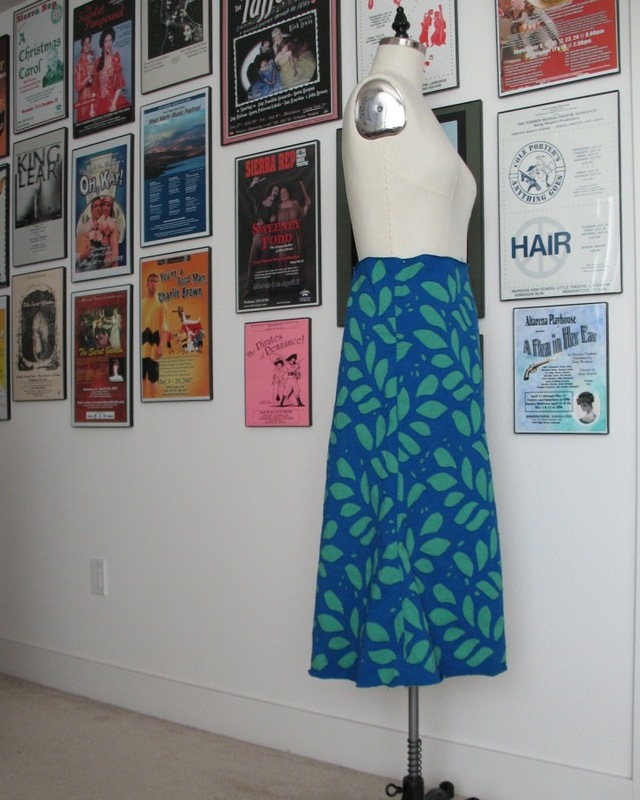 If we multiply by four, that gets us to $2,520 – right around the cost of an original Alabama Chanin skirt. Most people would never dream of paying $2,000 for a cotton skirt, even if they could afford it. But once you have created a well made or highly embellished garment that takes thirty or forty hours to produce, that number begins to sound reasonable. Much of this process, of course, would be more time efficient in the Alabama Chanin Factory. 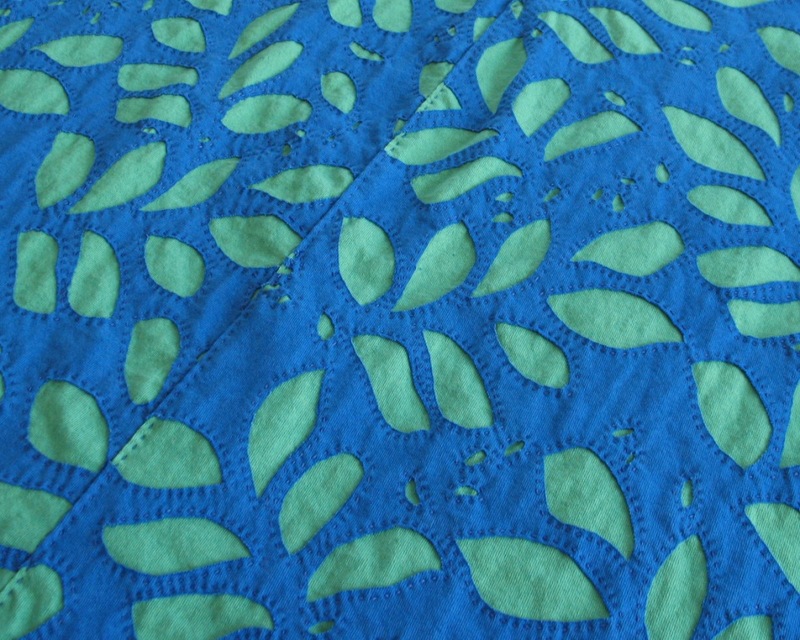 I wish I knew how quickly one of the real Alabama Chanin skirts are stitched together. But I simply cannot imagine that from start to finish, the highly embellished versions could take less than twenty or thirty hours of time. I am not at all familiar with the way MSRP is calculated. However, I am very familiar with the sale price insanity that pervades the U.S. retail industry, which so many of us have come to expect. Every day I receive email notices of 25, 30, sometimes even 50% off retail prices. With all of those 50% off sales, it is not hard to believe that manufacturers are selling their wares at four times the rate of cost to the manufacturer, or a 200% markup on top of the manufacturing costs. I think (or like to think) that Alabama Chanin is paying more to their skilled workers, and using less of a mark-up, but I have no way of knowing that. Personally, I do not consider my time when I make clothing for myself. I love the process as a creative outlet, and can’t image not sewing. 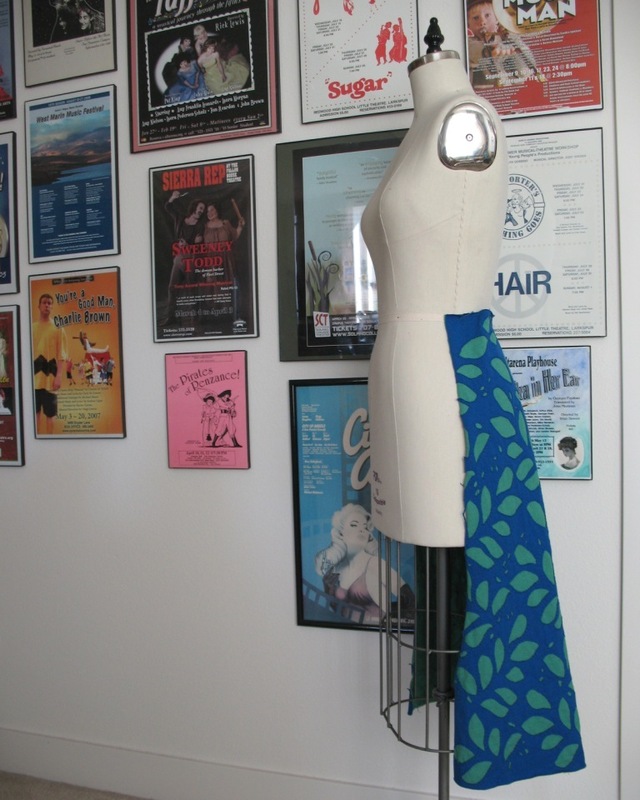 To me, the "cost" of one of my hand made dresses is the money I spend on patterns, fabric, and notions. But I would most certainly expect to be compensated for my time if I was to sell one of them. Most of my new wardrobe pieces are hand-made, and have been for quite a few years now. It has made me re-evaluate the retail world. Last year I purchased two Old Navy cotton cardigan sweaters. The price was low, but I cannot imagine how low the cost of labor must be in order to sell a garment for so little money. It boggles my mind. I know this topic has been discussed ad nauseam. Unfortunately, the demand for more and more clothing reflecting the latest trends each and every week means companies have an incentive to continue to produce fast fashion. I doubt the seamstresses and tailors working on those glorious Worth gowns from the turn of the century were making good wages, but instead of fifty t-shirts, they were toiling over a single gown. That is no longer feasible (and never was for the majority of the population to fill their closets). Where can we find a balance? What would you pay yourself as an hourly wage for your hand work to feel sufficiently compensated? What do you think is reasonable for a consumer to expect to pay? It is upsetting that so very few artisans are paid according to their talent and skills. Will this ever change? I have to wonder what the men and women in the haute couture ateliers are currently paid. I am not really sure where I am going with this, but I just had to spell it out for myself. And as cliché as it sounds, they certainly don’t make things like they used to. But I can, and will! your skirt is looking beautiful. that book has definitely made a lot of people think. in the UK we have a retailer called Primark who are known for getting catwalk and deigner lookalikes into stores super fast. they also have a more value range where tshirts cost £2-3. it makes me feel sick to think of how much the person who made that tshirt must have been paid for primark to fly it half way around the world and still make a profit selling it at that price. The people who work for these stores in the first world has to sew 80 to 90 pieces of clothing ( i.e. sew the sleeves, or the legs of pants) a minute! Can you imagine 80 pieces per minute? Under terrible working conditions (heat, terrible light, dangerous working conditions). It is terrible and so sad. I can't even manage to make a single garment in a day . . . so it is incomprehensible to me. No wonder quality control is so difficult. I agree wholeheartedly. Things are definitely way out of balance. I never shop at Walmart, because of the unfair low prices. I haven't read that book, but I think it would just upset me even more. One of the reasons why I started sewing again after finishing my education, was to avoid supporting the fast-fashion industry. I hardly ever go shopping for clothes. I also prefer to buy fewer higher quality (and more expensive) items than many cheap items. Ideally, clothing would be very expensive and provide a living wage to the workers. Customers would buy less and the items would last a long time. This would also open up opportunities for jobs in repairing or altering garments. Thank you so much for sharing, and I love your blue and green skirt. The stitching looks amazing! then you also have to worry about people stealing your ideas and designs and intellectual property to make a copy of one of your originals. 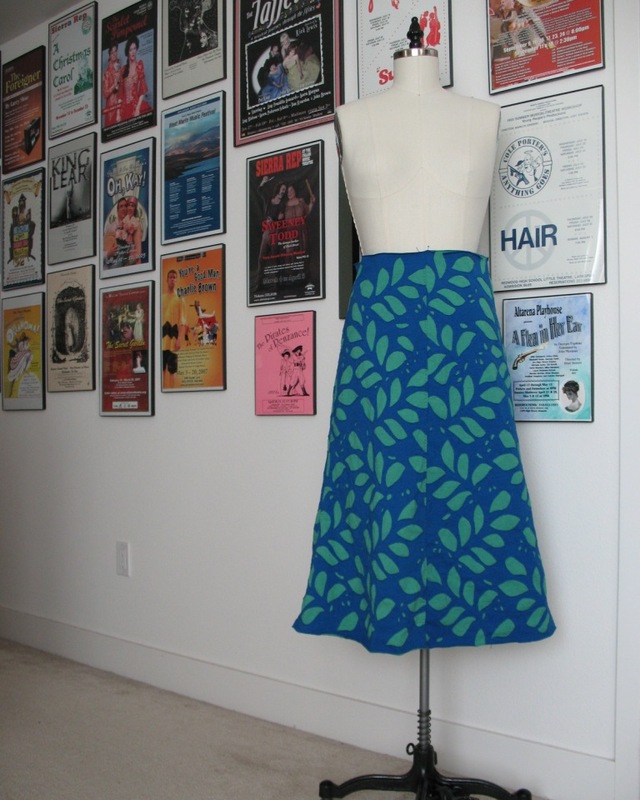 if you see something you like, do you consider the time and effort it took to design, develop and create this skirt? have YOU the person copying the item paid for the permission to copy their idea/design? did you buy the pattern from them? If you (any copier) didn't. you've just made and displayed a pirated (stolen) copy. this also goes into the cost of an item. After I published this post, I immediately thought of the hours I spent deciding on colors, etc . . . so yes, design time must be factored in as well! But I do have to respectfully disagree about fashion design copyright. I don’t think that creativity can exist without a certain amount of inspiration taken from existing sources. And if someone copyrights a sleeveless red sheath with two French darts, does that mean that style is forever banned for any other designer? A knock-off of a couture piece, for instance, will never be the same as the original. And if you go back far enough, everything has already been done before with minor alterations or changes. A bit like vegetarianism, isn't in? When you stop to think about the products you use as a consumer, it starts to make you feel a little sick, except in the case of clothing, its people being used and exploited. But, I have to ask, would not buying fast fashion help the plight garment workers around the world? That is an interesting question. I suppose it could be said that there are worse jobs to have . . . but I still get queasy thinking about the conditions – especially because I know how much work goes into a single garment (even a shoddily made one). And because of crazy pricing, I think most consumers forget that each garment is made by human hands. Its' certainly relative, but I find it doubtful that artisans from any genre will rarely be paid according to their talent and skills. Cheap fashion is an entirely different subject and its hard to compare a home sewer's time to a factory made garment which is made in record breaking time thanks to assembly line construction. I'm not sure what the answer is. The textile and manufacturing industry will always look for the cheapest labor possible. People need clothes and most can't afford couture - perhaps the answer lies in demanding better conditions for the factory employees. I hear you! People have no idea what goes into altering clothing. These days, most people wear off the rack with the exception of something like a wedding gown, which is fitted. If they think tailoring and alterations are so easy, perhaps they should do it themselves!! Most cheap clothing does no even allow for altering with extremely small seam allowances . . . I commend the manufacturers for saving fabric, but if you want to lengthen a hemline, it is virtually impossible! We Americans have had an easy life of cheap goods and abundance while living off the labor of third world countries that produce what we consume. When you consider that we pay for these goods with the worthless dollars we print, you realize we don't even have to work to buy these cheap goods. Sewing will become a cherished and necessary skill in the near future. But sewing is valuable even when clothes can be bought so cheaply. I can walk into a retail store and scan the merchandise in 15 or 20 minutes and find the one great buy among all the junk because I sew. Quality construction, fabric and fit are skills that most people don't know much about because they take time and careful study to acquire. If you have enough money you can buy Ralph Lauren or Donna Karen and you don't need to have good taste. But when you compare the way the average American dresses today to how they dressed 50 years ago, we look like slobs. We used to wear suits to fly on an airplane or go to a concert but now you can wear your pj's and worse, in public. Check out the "what people wear to Walmart" videos on tube. The choice of sewing one's own clothes or having nothing to wear might be good for America. More proof that I was born too late! Why does no one "dress for dinner" anymore? I was just having a conversation the other day with someone who appreciated the fact that I put an outfit together before heading out for the day. I actually enjoy getting dressed up and will take any opportunity to do so. It would be nice if others joined me (and some do!) but I actually have no problem with people in jeans at the symphony or ballet, etc. I figure it is more important to fight one battle at a time . . . get them to the opera and away from the television, and deal with the sweatpants later! But I do hear you on those Walmart videos . . . yikes . . . There is a lot of info in this post but I would just like to comment on how you only use the cost of your materials as the cost of your sewing. I agree and do the same. When I say that it only cost me $4 to make a shirt, and people say that I have to factor in the cost of my sewing time; I set them straight. Do you factor in the cost of your time when you go to a movie? When you read a book? When you go shopping or make yourself a meal or drive yourself to an appointment, or paint your nails? "Overdressed" reiterated what I rant about at the pals and gals here: we underpay and overbuy for no real reason except entertainment. It wasn't the best written or edited book, but it's gotten read and that's what counts. As a sewist who chronically undercharges (cause I sew for the folks I like), I truly marvel at the skill that goes into sewing deeply cheap materials. I spent some time with a Forever 21 coat last year, and the construction, finishing and buttonholes were amazing (the buttons, thread, trim and fabric were crap), all the more for the shoddy stuff they were working with. Which was entirely cut offgrain. Sweatshop sewist, I salute you. Meanwhile, I do more and more work with cosplayers. Who can't buy off the rack, and need closeup detail. And that's today's job - all hand made. I believe one of the reasons that the book took me so long to finish was the quality of writing . . . but there was important information contained within the pages, so I kept going. And so many people are familiar with the title, so it seems to have done a bit of good! And sewing with yucky polyester is awful . . . I suppose those puckered seams are to be expected. Certainly it gives one pause, doesn't it? On the one hand, if everyone stopped buying clothes altogether, there would be a lot of people out of desperately needed jobs. On the other hand, supporting fast fashion just perpetuates the problem. The more awareness is created, the more we can hope that consumers will become more vocal towards the companies they buy from, demanding openness in how their products are created, and forcing fair pay and working conditions for the workers. Unfortunately, since this will also drive prices up, there has to be a fairly wide spread change in our Western consumer mentality: rather than a throw-away mentality towards clothing we need to collectively begin to be willing to pay more for quality and longer lasting items. As an aside, it's interesting isn't it, that people will pay thousands of dollars for a wedding dress they will only wear once, yet not invest in their daily wardrobe with the same mentality. For me personally, I am so grateful to have the ability to sew because I became tired of the cheap, badly made garments in RTW long ago, and love the fact I can create something beautifully made out of exquisite fabrics. Every one of us who embraces this lifestyle has the opportunity to educate by example, and hopefully we can make a widespread difference, in time :) As for the things I can't make, like shoes, I purchase from companies who have the same mentality as I do towards clothing. I find it ironic that people remark daily about the lack of jobs for Americans, but they will shell out their hard earned money for clothing that is supporting the outsourcing of American jobs. And you bring up a really good point. The special occasion dress is an abnormality in the world of fast fashion. It is bizarre that society continues to expect a wedding dress to be altered when it is only worn once. Do people even pass their dresses on to the next generation anymore? We would certainly be better served by fitting our everyday garments, but I suppose sweatpants don’t really need much in the way of alterations! The popularity of knits might also be part of the issue. If you can squeeze into something because of the elasticity, it must fit correctly, right?!! It's not only the materials and labor that go into the cost. The manufacturer has to maintain a site (hopefully in the USA a safe, clean, well lit site), have hazard insurance, pay taxes, worker's comp fees, purchase and maintain equipment and (again hopefully) provide benefits. Other costs are also part of the equation such as employee turnover, training, vacations and sick time, transportation for products and associated duties and import/export fees and marketing costs. Hence the reasons reputable businesses must double and triple costs. Excellent point! I believe some companies work around this by hiring independent contractors who pay for some of those things themselves, but certainly there are costs associated with opening and operating a business. I loved reading your thought process in this post. I, too have agonised over the true cost of retail clothing. One point to make about sweatshops is that though they are far from perfect, they tend to offer better pay than most alternatives in the countries in which they exist. This is why so many workers travel to work these jobs. I am not for one moment defending the practice, and I think conditions in sweatshops have a long away to go before becoming anywhere near ethical. It is just interesting to consider them in light of other work available for these workers. In my sheltered world, it is difficult to imagine a worse job that slaving away in a sweatshop, but you are absolutely right . . . someone in a third world country might think of themselves as lucky to get a job sewing t-shirts. That is definitely a reality check for me, and one I will try to remember the next time I feel like whining about something insignificant. It's a good train of thought. I hardly ever take any commissions, there is no way to make a living out of it, so if it's fun, I'll do it. I refuse all alterations. Historically, we have made our best to outsource whatever is labor intensive, we took clothing from NY, to Boston, to elsewhere. It's not just clothes, it's ironwork, printing, cars, Christmas decorations. We are now so far removed from crafters that we, unless we sew, don't know how much time it takes to make things and overbuy to make up for the high we've lost in the process. But as I also buy stuff, I try to remember that there is someone trying to feed her family somewhere. I respect that, it's a lofty goal. Love the leaf design and color choice. Very funky! Astoundingly gorgeous! You took cotton, chemicals, thread, and some of your most diligently skilled hours and made high art. From the camp of envy, I am have forwarded my mail to "awe" (not that I won't find my way back sometime soon - and isn't a rant overdue?). Yes, an original design that is handmade and custom fit is wearable art so you really cannot compare it to massed produced clothes. An excellent analysis of ann important ethical and economic dilemma. Thank you for sharing the and creating a dialogue about the subject. I've been experimenting with Alabama Chanin techniques for about a year and I've made several garments. It does go faster the more you do it. And believe it or not, lol, there are AC techniques that take even more time than reverse applique (the one you're doing). At the moment I'm working on a jacket with the same stencil you've used but with couched jersey embellisment - mama mia now *that* is time consuming. $26 a yard is expensive for cotton jersey but its 100% organic, grown, dyed and milled in the US, its sold pre-shrunk and the colors are very *very* beautiful. They have sales several times a year with 20% discounts, their Mother's Day sale was last weekend. Phrugal, phantastic...why, Phyllis, of course! really low what you wrote. I am a designer and seamstress of upcycled clothing and accessories; and the labor of designing, cutting, and sewing one item as worth a lot, but I keep my costs lower as I wonder"Would folks REALLY spend that much" the answer is YES and I should change my way of thinking. I LOVE what Alabama Chanin represents; I have one of their books, but haven't made anything as I am saving up for the materials:)I think "handmade" represents so much more than the masses think. We put our passion, tears and love into creating one item; we don't pay the folks overseas to do it for us, that is the cheaters way out. ...on a side not, I was noticing all the musical pics on your wall were you in all those? I am a graduate of a prestigious acting school in Portland and have acted in theater for years.It is my dream to perform in musicals!